If any of this sounds good to you, or if you have other ideas, please contact us with a brief description of your skills and interests. Experience in the areas of GIS and remote sensing is helpful but definitely not mandatory to intern with us. What we need is smart, dedicated and enthusiastic people who believe in our mission. So call us at 304-885-4581, email us or come visit us in the Carriage House of the Entler Hotel and work with us this year! 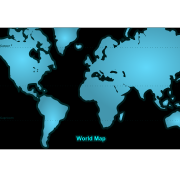 https://skytruth.org/wp-content/uploads/2011/03/world_map.png 177 250 Teri Biebel /wp-content/uploads/2016/08/test_logo.png Teri Biebel2011-03-31 14:50:002019-02-26 10:24:41Interns wanted, apply within! Shrimp Trawling Re-Suspending BP Oil? Way back last autumn I had a nagging thought: once oil impacted areas of the Gulf were re-opened to fishing in the wake of the BP / Deepwater Horizon spill, would shrimp trawlers repeatedly churn up oil that had settled on the seafloor? 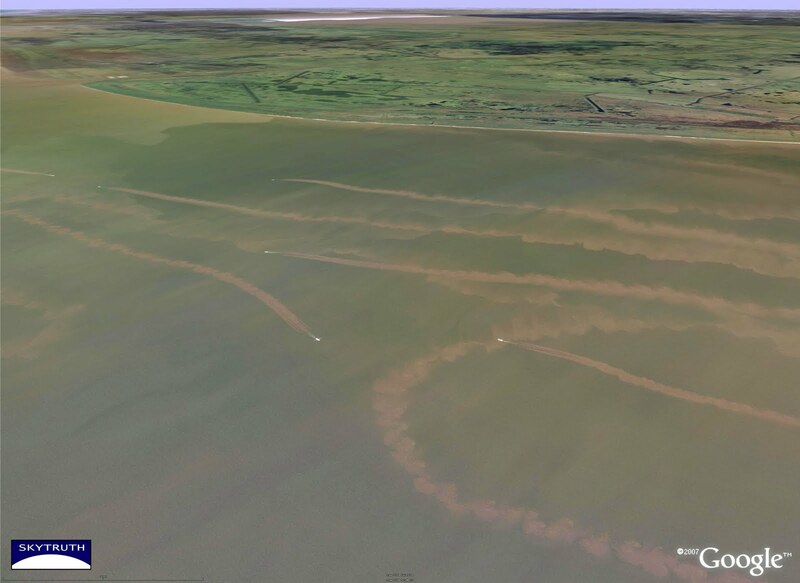 Google Earth panoramic image showing sediment plumes raised by bottom-trawl fishing for shrimp along the Louisiana coast. More images here. Vietnamese shrimpers said they have pulled up nets full of oil from the seafloor and have had to decide whether to report the oil to the Coast Guard, which would mean dumping their day’s catch, or pretend they don’t see the oil. John Lliff, a supervisor with NOAA’s Damage Assessment Remediation and Restoration Program, said no one knows how much of the seafloor is covered in oil. Until the oil totally disappears, it seems highly likely that this will continue. But we don’t have a clue how long the oil will linger, or what the impacts of this would be on the health of fishermen, the recovery of the Gulf ecosystem, or the safety of seafood. Meanwhile, some of our politicians seem to be ignoring the fact that the world’s worst accidental oil spill happened here in our own back yard less than a year ago, and are intent on returning to business as usual without assuring the public that drilling is any safer than it was last April. Does anybody else see this as a recipe for another disaster? https://skytruth.org/wp-content/uploads/2011/03/SkyTruth_trawling_gom_GE_1-2.jpg 292 400 John Amos /wp-content/uploads/2016/08/test_logo.png John Amos2011-03-30 15:22:002019-02-26 10:25:40Shrimp Trawling Re-Suspending BP Oil? https://skytruth.org/wp-content/uploads/2011/03/SkyTruth_trawling_gom_GE_1.jpg 292 400 John Amos /wp-content/uploads/2016/08/test_logo.png John Amos2011-03-30 15:22:002019-02-26 10:25:08Shrimp Trawling Re-Suspending BP Oil? 1) Neither of the well-containment devices we’re now relying on has actually been deployed and field-tested to see if it can reliably function in real Gulf deepwater conditions. Assuming they actually do work, it is progress to have better well-containment options. Especially since we now know that blowout preventers – that previous bit of miracle technology we faithfully relied on – are fundamentally flawed by design, unable to reliably function at the fluid pressures and temperatures likely to be encountered in deep wells that go out of control. This clip is a bit long, but Rachel Maddow got Noble Energy’s Regional Oil Spill Response Plan that accompanied their permit to resume deepwater drilling, the first permit BOEMRE approved since the BP spill. This plan should include cleanup details. The plan is dated September 2009, seven months before the BP spill, and includes no new information or plans, according to Maddow. So how can BOEMRE express such confidence in the ability to safely and effectively respond to a worst-case spill scenario if we’re still relying on old cleanup plans that gave us scenes like this? And why is this information so difficult for us ordinary folks to come by? 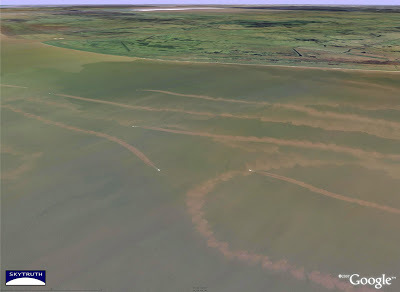 Grand Isle Oil Spill – More Than 4 Gallons? IF our analysis of the March 22, 2011 MODIS satellite image is correct, and we assume the apparent oil slick on that image is on average only 1 micron — one millionth of a meter — thick, then that roughly 2,427 km2 oil slick held at least 640,728 gallons. Wildlife and Fisheries officials found the source of the oil Monday evening and encountered workers in a boat trying to restore a cap on the well using a remotely operated submarine. “Well-capping went out of control,” the state official said. 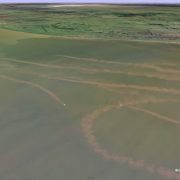 The spill was first reported to the NRC at about 8pm on Friday, March 18, three full days before the Louisiana officials came across the continuing effort to plug this well. 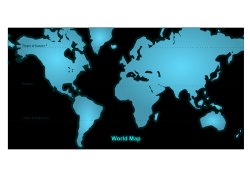 /wp-content/uploads/2016/08/test_logo.png 0 0 John Amos /wp-content/uploads/2016/08/test_logo.png John Amos2011-03-28 23:05:002017-09-15 11:39:00Grand Isle Oil Spill - More Than 4 Gallons?